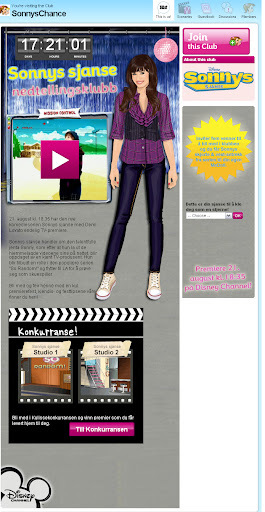 The club is on Stardoll! Enter the club and invite 5 friends to the club for the blouse to be yours! August 21. 6:35 is the premiere of the new comedy, sonny with a chance on disney channel. Sonny with a chance is about the talented girl Sonny, that after she let out her home-made videos on the internet, are discovered by a famous TV producer. She was offered a role in the popular series “So Random!” And move to LA to try out as an actor. Join us and celebrate her with a cool premierefest, you’ll find celebrity and party tips here!